Overlooking LinkedIn from a business point of view might be the biggest mistake you are doing. And believe us, you’ll regret this at some point in time. You won’t believe it, but, it can potentially send loads of high-quality customers and traffic. So, let’s just make your LinkedIn profile more professional and start driving business out of it. Why use LinkedIn marketing Services? So before you start getting into this roller coaster ride, let us brief you about business facts of LinkedIn. Linkedin Marketing Strategy: We employ highly professional and creatively dipped marketers who have the great understanding of how Linkedin marketing procedure exactly works. Custom LinkedIn marketing services ranging from content creation to social monitoring, posting to reputation management and more. We have the whole idea of how in and out process of LinkedIn flows and what it takes to make a certain business thrive on this social media platform. 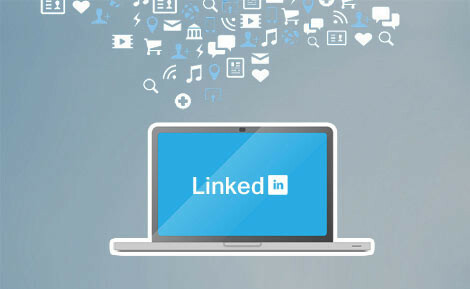 Contact us to get the Best LinkedIn marketing services now and give your business a quick hike.